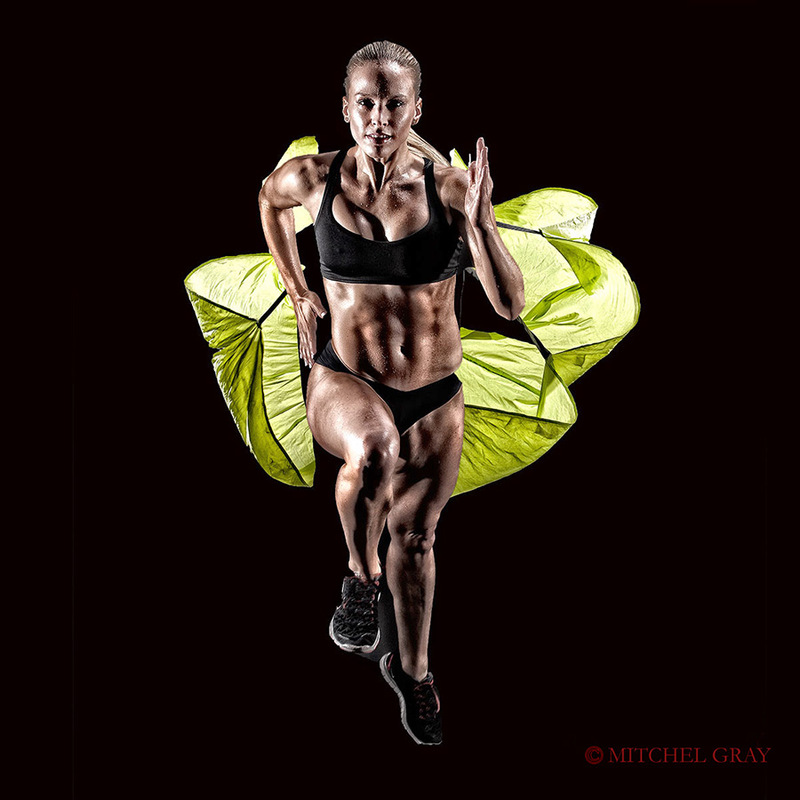 New York City based professional photographer, Mitchel Gray, has taken fitness photography to the next level in his “Bodies in Action” series. 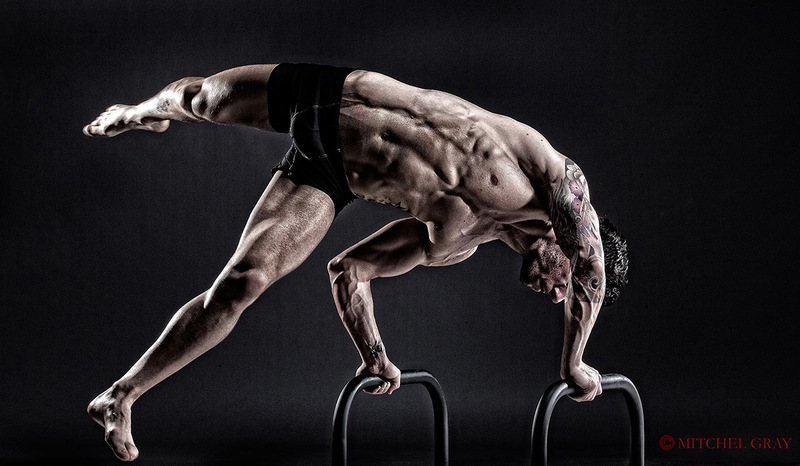 By photographing professional athletes and Olympians performing their sport in his studio, without the uniforms and protective gear they usually wear, Gray catches the musculature and form of these athletes, even pitting the images against one another, as if the athletes are competing against themselves. 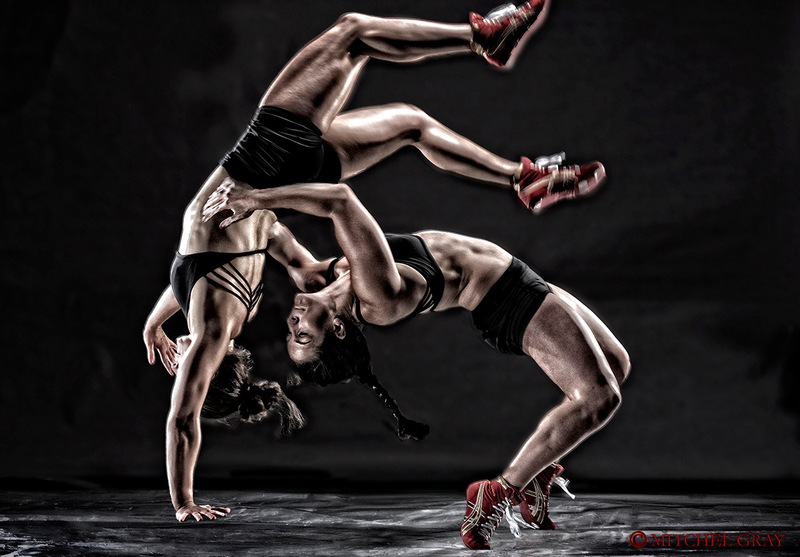 What compelled you to initiate your Bodies in Action series? Bodies have been a focus and a fascination of mine throughout my career. During my fashion years lingerie was a specialty, whether it was for Vogue, advertising clients, or my own coffee table books (I’ve done 2 for St. Martins Press, The Lingerie Book, which sold over 120,000 books in 4 languages and won the award for Best Photography in Art Book from the NY Art Directors Club, and Lingerie Fantasies, which did great as well). As I moved more into the Sports and Fitness field, first with Men’s Health and then everyone else, I had the opportunity to work with great tuned bodies, both male and female. Not all of the subjects were professional athletes, but all were in great shape, and almost all had some sort of athletic history. Since I’ve been an athlete all my life, the fit was perfect. After tons of magazine covers, editorials, and ad pages I had an endless stream of fitness models approaching me about doing “body shots”. One day I was doing a “go-see” with a young man named Derek Poole, who was in customarily great shape. I told Derek I simply wouldn’t do another normal body shot and asked him what he could do that was different. He mentioned that he had played high school/college football and basketball and I shook my head and replied, “But Derek, what can you do that’s different?” He sat across from me silently for about 45 seconds and then answered, “I’m a bow hunter”. Images began flashing across my mind immediately, although I must admit they were a bit “Robin Hood-ish” as far as the weaponry was concerned. I told him that was a great idea and he replied that since he lived in Connecticut, he might have some trouble bring the bow and arrows into NYC on the train. Again, picturing Robin Hood, I told him to just stick them in a big bag and bring them in. It wasn’t until I saw the equipment, which resembled an AK47 more than any bow Robin Hood ever had, that I understood the difficulty. The resulting photograph became the first in the Bodies in Action series and opened my eyes to the incredible possibilities. How do you select your models for this series? Are they all professional athletes and Olympians? I began with, and still use on occasion, fitness people who are virtually all ex-athletes of varying levels, high school, college, minor league, etc. 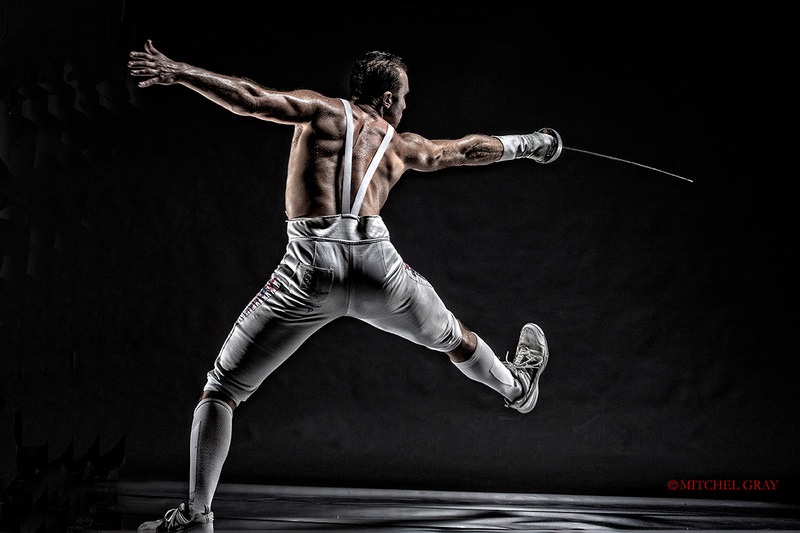 I began to pursue Olympians and pros when I was introduced to Soren Thompson, a 2 time Olympic fencer. He opened the door to the NYAC, which is a huge supporter of a wide range of high-end athletic teams and individuals. That led to the USOC. And as the project gathered steam I reached out on my own to athletes and agents. Is every shot taken in your studio? If so, how are you able to grab action shots like people snowboarding or surfing, playing ice hockey or diving? Yes, every shot is taken in my studio. The lighting for each photo is extremely exacting- the subject often has to pass through a “perfect spot” of about 12 inches depth. The studio is not overly large so we have to be creative in our approach. Some images are able to be done in what would be considered to be normal fashion. For example, the Fencer, the female Rugby player, the Hurdler and the Parachute Runner were all shot actually doing their moves. However, having said that, it should be noted that the size of the space has caused some comical results that you’d never guess just looking at the images. The Hurdler jumped over the hurdle about 85-90 times and each time he had to stop just before he smacked into the wall. The Parachute Runner required serious movement to fill up the parachute so she ran around in circles about 5 times before every shot, avoiding lighting equipment and assistants as she ran. The Snowboarder had to wait between each leap for us to load up the back of his snowboard with potato buds, which passed for snow (we did have real snow, but it just didn’t work as well). The Diver dived off a platform onto a pile of mats, prompting him to comment that he felt like a kid jumping up and down on his parent’s bed. The Hockey Player was provided a surface that passed for ice so he just fired away, minus the puck, which was added in post. The water is shot afterwards—in the exact same place and lighting- and then applied in post-production. 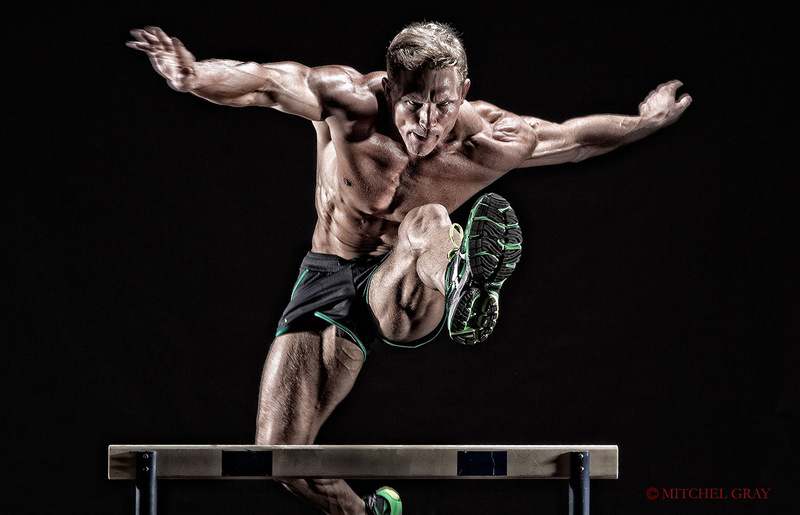 The gymnast looks like he is actually on bars and the runner is jumping a hurdle. 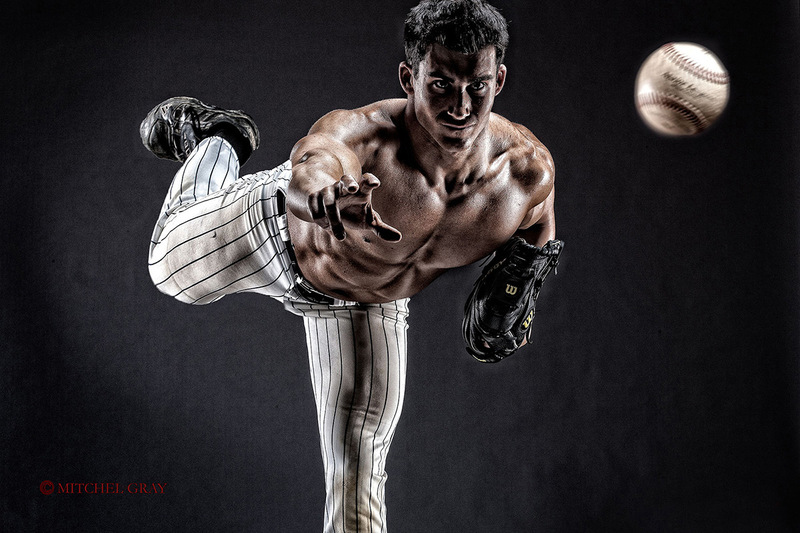 Do some of your models actually bring their athletic equipment into the studio for the shoots? Virtually all provide their own equipment. I secured the hurdle from Poly Prep in Bay Ridge, Brooklyn. My son’s high school baseball coach, Matt Roventini, told me with a big smile, to “just go over there and grab one, the season’s over. Just bring it back”. Adeline Gray, the 3x and current World Champion wrestler and our best Gold Medal shot in Rio, had her red wrestling dummy delivered from the NYAC. In many photos you capture both the front and the back of the athletes. Sometimes they look like they are competing against themselves in the photos. Can you explain your artistic process for these photographs? I have always wanted to be able to illustrate more than one side of a body in the same photograph in a seamless manner that made it look natural and real. The idea of having each athlete compete against themself gave me the perfect opportunity to do this. We work through a whole series of actions “offensively” first, with the knowledge that the athlete will have to defend against himself next. It requires the athlete to really think about their “moves” in a different way. In point of fact, most of them actually do this in their own practices and find that they draw upon that experience while devising their moves—they “get it” quickly. When we turn to the defensive side, we all have to remember the offensive moves and then counter them. The hardest part is to edit the selection of both images so they look not only natural and real, but also beautiful, graceful, and powerful. What type of camera and lenses do you use? At what frame rate do you shoot your photographs? I am a Canon guy. Most of the time I shoot with a 1DS Mark3 and using lenses that range from 28mm-200mm. Since the lighting system I’ve developed for this “look” is strobe, I only shoot one frame at a time, which probably seems very difficult considering the subject matter. I may change shutter speeds from time to time to induce different levels of edge motion. Is there anything about professional athletes that you did not know and have learned since beginning the series? I’ve been fortunate to have worked with a lot of celebrity pros over the years, doing all kinds of images, from portraits to workouts. I have found that the approach required for these images makes the athlete much more comfortable than just sitting in front of the camera. Everyone has been super enthusiastic and willing to do their “action” hundreds of times. We all have had a great time doing them. What are some memorable reactions you have gotten from the athletes once they see their final photos? Are they in awe of seeing their body caught in action playing their sport without uniforms or protective gear? “Wow, that’s really cool!” is almost invariably the first response. I always have to do a few “test” shots before we launch off into the shoot. That’s designed to check lighting, camera angles, and action and enable me to make decisions and suggestions and allow the athlete to get a peek. Things always get better from there. Since a great deal of the final image look is done in post, especially the offense/defense images, it’s important that they get a rough idea of what it’s going to look like. From Nate Ebner: “These pictures are awesome! I don’t know how you made a scrub like me look so good! ha but well done and thank you. Thanks and great job! Of course, Nate Ebner is anything but a “scrub”, playing for both the New England Patriots and the US Olympic Rugby Team. From Adeline Gray, Olympic wrestler: “Wow!! If it was not so late in NYC I would call and tell you how great it is. This is so cool. 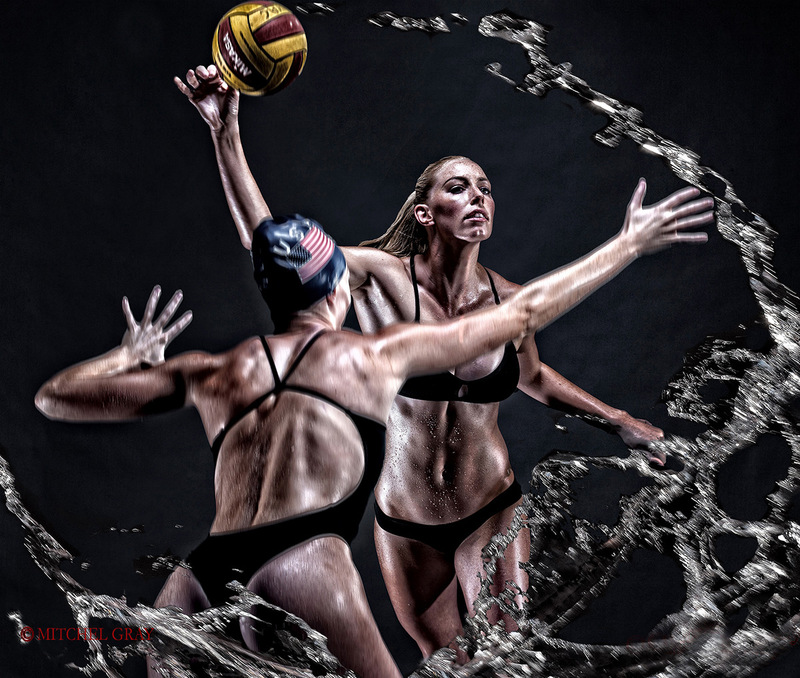 From KK Clark, Olympic Water Polo player: Wow. What amazing work you do Mitchel! The water looks so natural and I think it’s a great artistic representation of water polo. It’s really beautiful and I feel so lucky to be a part of the series! What type of athletes/sports do you plan on capturing next for the series? 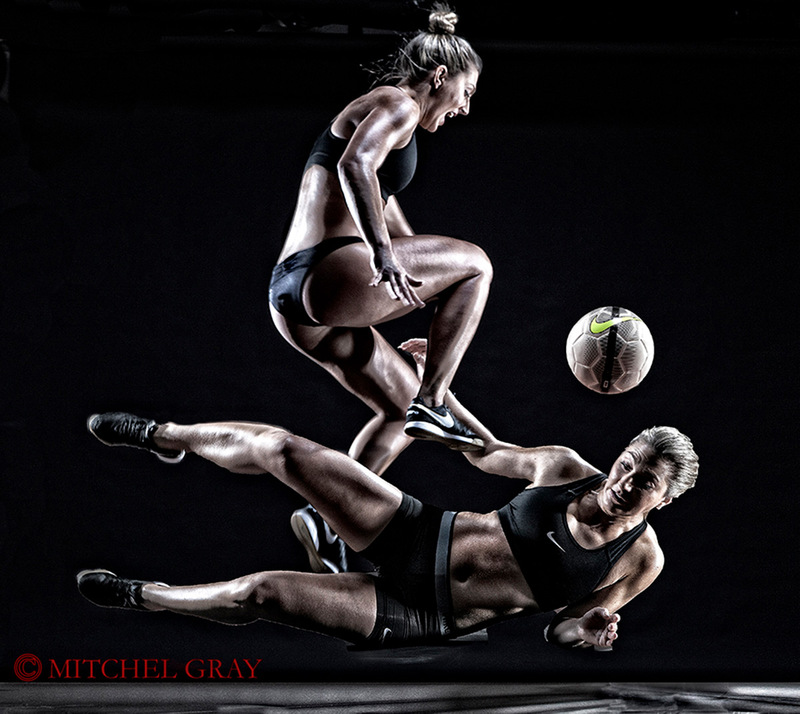 “Bodies In Action” is an ongoing photographic series that Mitchel Gray began in late 2014. The concept behind the series is to illustrate what the bodies of great athletes are actually doing under all the equipment, padding, and uniforms while they are performing their sport, in a uniquely artful, dramatic, and informative style. All of the photos are made at Mitchel’s studio in New York City. He employs a distinctive, exacting, lighting approach that is designed to emphasize musculature, action, and grace. There is one more aspect to these photos that make them truly a “first” in the genre – in each photo in the series that appears to have two people in it, there is actually only the same person shot in opposition to themselves. 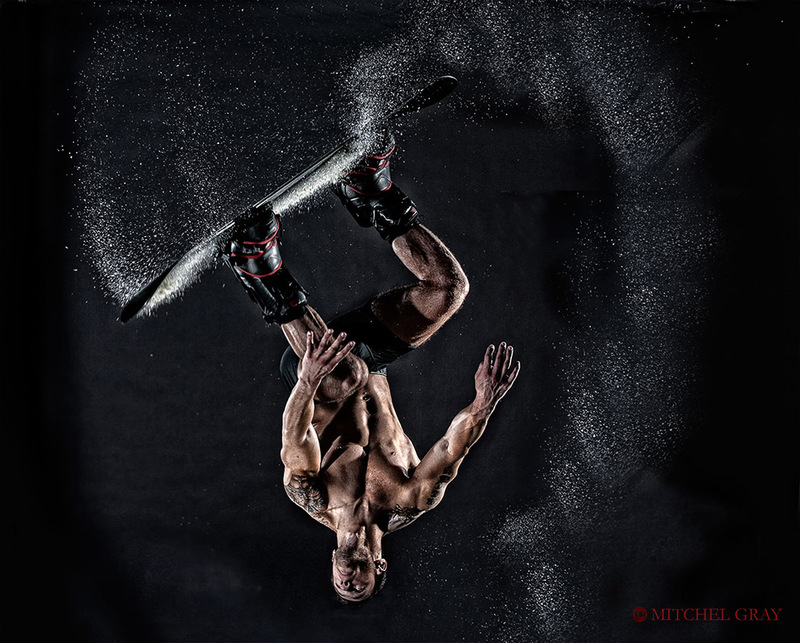 This approach allows Mitchel to illustrate two sides of the same body in one frame, seamlessly and within the construct of the action. Many of the subjects are Olympians or Olympic hopefuls, but all are gifted athletes. Mitchel has enjoyed the cooperation of the U.S. Olympic Committee and the New York Athletic Club in the creation of “Bodies in Action”. Elements of the series have already been featured in the National Art Museum of Sport, and there will be a gallery show for the series in New York in August/September, 2016. Mitchel Gray is a photographer and an author. He has to his credit two best selling books, The Lingerie Book and Lingerie Fantasies (St.Martins Press) and has illustrated many more, particularly in the active lifestyle/health and fitness field. 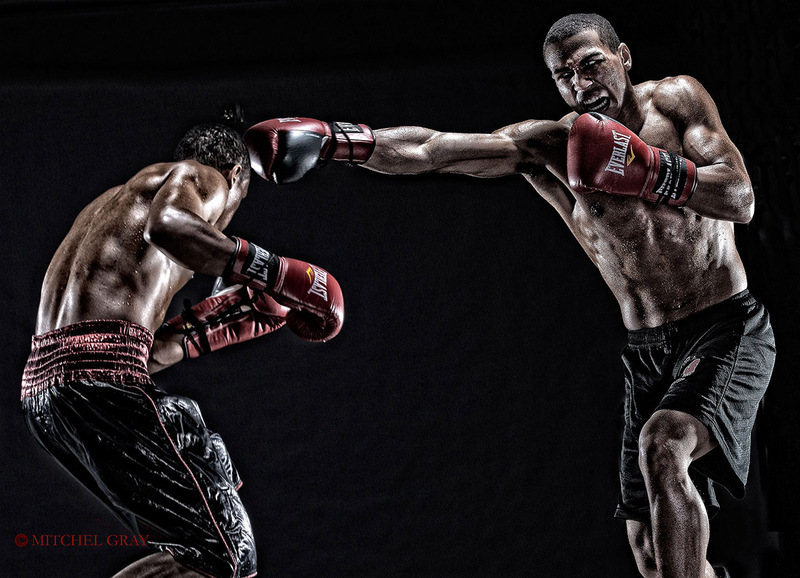 He has photographed over one hundred magazine covers, including Men’s Health (all editions), Men’s Fitness, Men’s Health Muscle (Germany), Muscle & Fitness, M&F Hers, Runners World, Bicycling, Fitness, and The Sporting News. 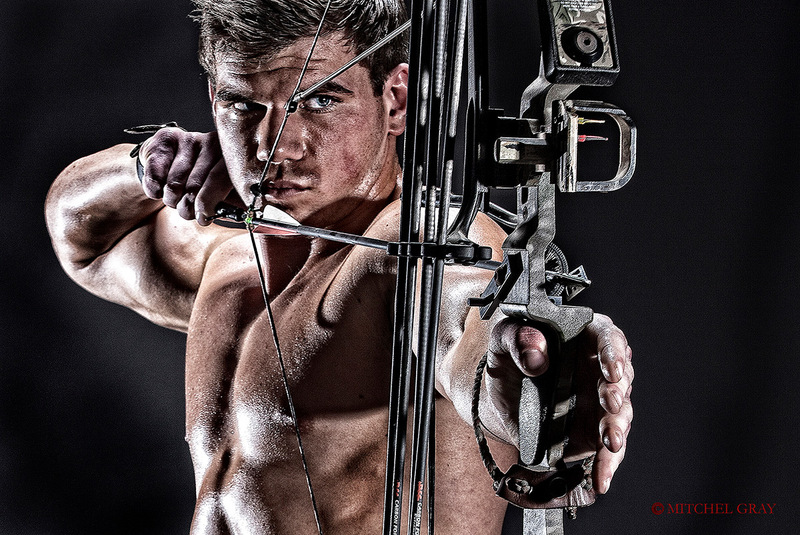 He has shot thousands of magazine and advertising pages for various publications and clients around the globe. Much of his portrait work in recent years has focused on sports celebrities ranging from Tom Brady to Derek Jeter. His Fine Art work has been show in galleries in both the U.S. and Europe.